Before I start, let me set the record straight. Anyone can write a blog post in three hours. Writing a good post, however, can take days or even weeks of solid work, depending on the scope. In my case, a “good” post will usually be at least 1500 words, either backed by data or personal experience, provides unique value to the target audience, is SEO optimized for a good volume (and low-hanging fruit keyword), and so on. Writing content that ticks all of those boxes in such a limited amount of time can prove exhausting, especially when you’re doing it consistently for at least three posts per week. So, before I waste any more time, let’s get down and dirty with how to consistently write a good blog post in three hours flat. It’s time to build a winning blog. The easiest way to waste time and hard work is to commit to writing a post before you know how valuable it will be. The best way to solve that is to have keyword research performed for every potential post you come up with. Now, I’m assuming that you already have a method for generating your ideas and organizing your content on a schedule. If not, do that right now, then come back to this post – if you want to build a blog that’s successful you’ll need to be consistent, which means having plenty of queued ideas for content. Keyword research itself is relatively simple. Take the idea (or keyword) you want to write about, search the term or topic in Google to come up with some variations on it and related conditions, then put them all into a tool like Ahrefs’ Keyword Explorer. 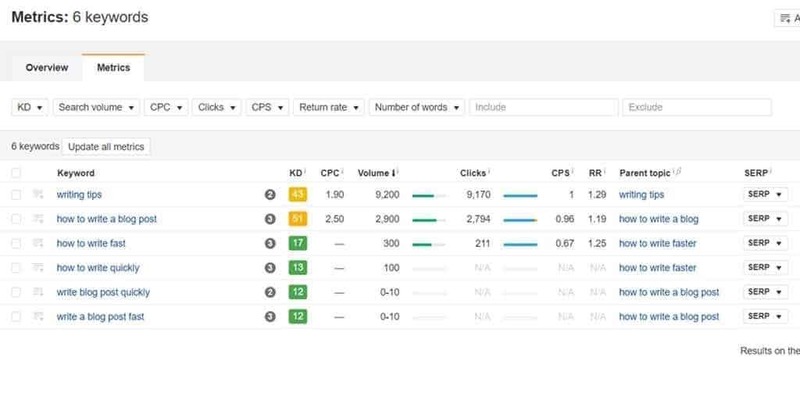 Finally, choose a keyword which has a decent search volume but a low enough difficulty that you might be able to rank for it. Once you’ve picked your keyword, file it away in your calendar ready to write about it. Your keyword (topic) is set, which is the first major hurdle for writing quickly. Next, work out a potential angle the post can take on the topic to make it unique and valuable. Think of this as how you’re standing out from the crowd and writing something that’s worth reading – something that’s useful enough to beat the current first-page search results for the keyword. Ideally, this should be done straight after you’ve set your keyword since you’ll have Googled your term and the results will still be fresh in your mind. 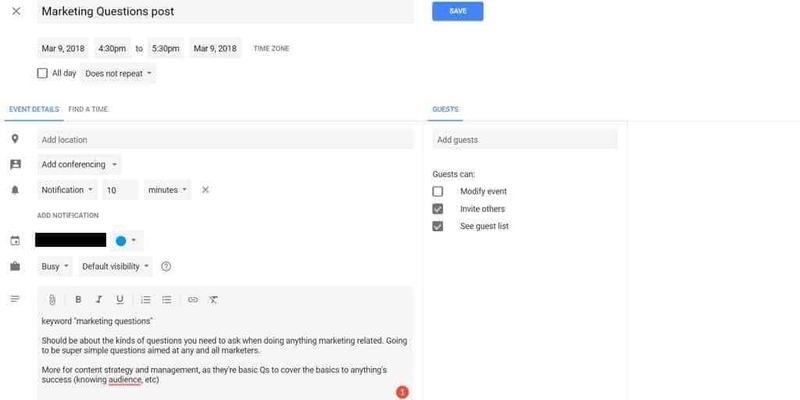 Use what you’ve seen and what you already know about the topic to come up with a unique angle on the topic, and jot it down alongside the keyword in your calendar. This might seem like an unnecessary part of the preparation, and most of the time you’ll find that this angle will change and develop as you research and write. Still, having a direction to start in is a massive bonus to how quickly you can write. Now we’re into the writing tips themselves. First up, never write your post while you’re researching it. Writing takes a different mindset to research, and anything you learn will need to sit in your head for a while to be processed to make any decent points. I’m not saying that you shouldn’t write anything at all – make notes by all means, and record useful sources you can link back to or quote. However, don’t attempt to write any of the actual text. If you do, you’ll find yourself flip-flopping between researching and writing, and those three hours will be up before you finish the first draft. Similarly, never edit a post while you write it. Again, doing so shatters any kind of flow to your writing, to the point where you’ll lose focus and inevitably struggle to keep up the pace. It doesn’t matter if you make a spelling mistake. Nobody’s pressuring you to get your sentences and structure perfect on your first try. The main thing you need to do once you’ve finished researching is to sit down and write the thing from start to finish. One of the most significant improvements I made to my writing workflow was splitting up my research, writing, and editing over three days. As I’ve already said, all of these require different thought processes, and therefore your mind will need time to recover from each to work at full capacity. Or, instead, your brain needs time to recover from too much of the same topic. By splitting up your writing flow so that you research a post on one day, write it the next day, then editing it the day after, you’re allowing your mind to both processes what you’ve learned to write better and get some distance to edit effectively. However, considering that this means all posts will take at least three days, make up for it by working on three different posts each day. For example, on Monday research post one, write post two, and edit post three, then on Tuesday write post one, edit post two, and research post four, and so on. This is a method I first found out about on Buffer’s blog, and it’s served me well ever since. Editing an entire document at once can be daunting, especially if you’re on a strict time limit and the post is hefty or about a complex topic. So, instead, split up the editing tasks and take things one chunk at a time. 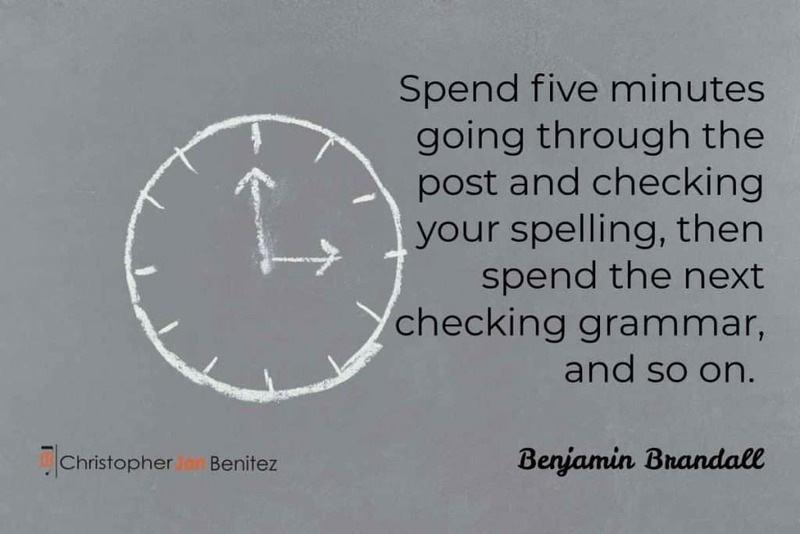 Spend five minutes going through the post and checking your spelling, then spend the next checking grammar, and so on. Tasks such as improving the structure of the post will take longer, but as long as you keep these editing runs to a single task each, you’ll find them much less daunting, which means you’re less likely to procrastinate. As an added tip, I’ve also found that using a trackable editing checklist is a fantastic way to boost your efficiency in this part of the writing process. 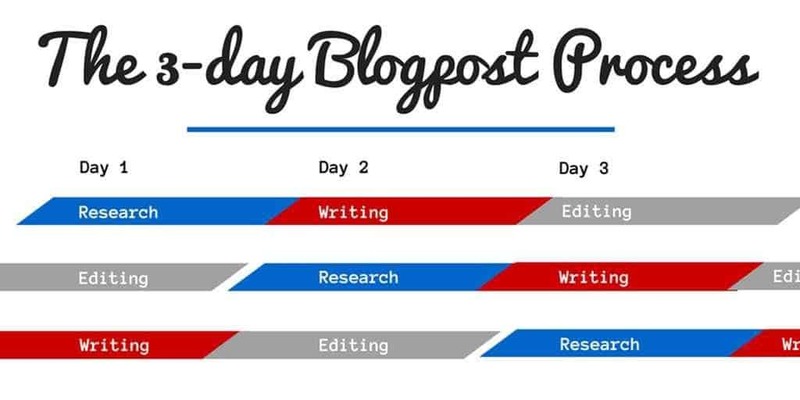 Knowing how long to spend on the various parts of writing a blog post was difficult at first. To be honest, it’s different for everyone, and from post to post. In general, however, you want to try to limit yourself to spending an hour each on researching, writing, and editing your content. This puts more of a concrete limit of how much time you have for a given task, which helps you to focus and make every second count. 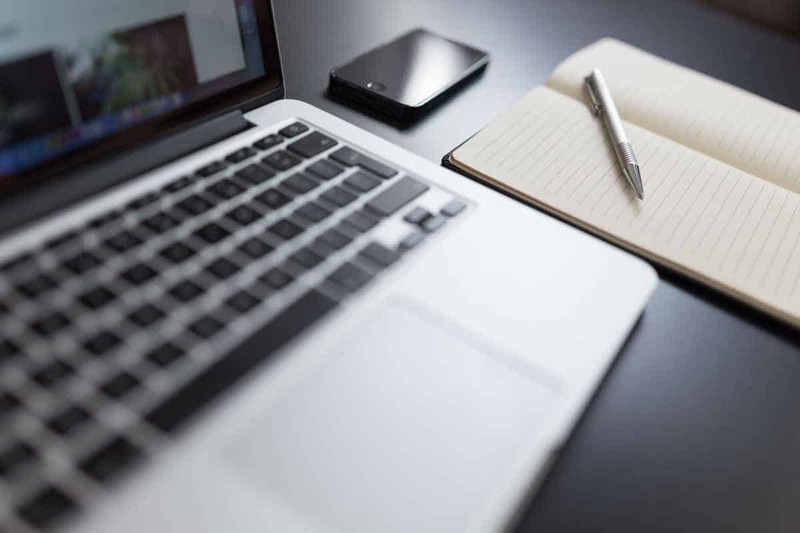 If you know that you only have one hour to research everything you need to know to make your blog post as good as it can be, you’re inherently less likely to stray off on tangents on the off-chance that you’ll find an interesting tidbit. Similarly, you’ll be less likely to edit your work as you write, since you won’t have any time to finish the body text if you do. Remember; the goal here isn’t to be as fast as possible, but to consistently produce good content in short bursts. Having even smaller deadlines for each part of the writing process is a great way to do that. Although I touched on this earlier if you don’t take regular breaks to give your mind a chance to rest and process everything that’s happening one of three things will happen. You’ll find it increasingly difficult to stay focused (think of it as information overload), you’ll burn out to the point of being next to immobile, or both. The idea with this three-hour deadline isn’t to work yourself into burning out – it’s to help you work smarter and make the most of your time instead of inefficiently trying to tackle everything at once. Hence why splitting up each post over three days and working on three posts at a time is so compelling. 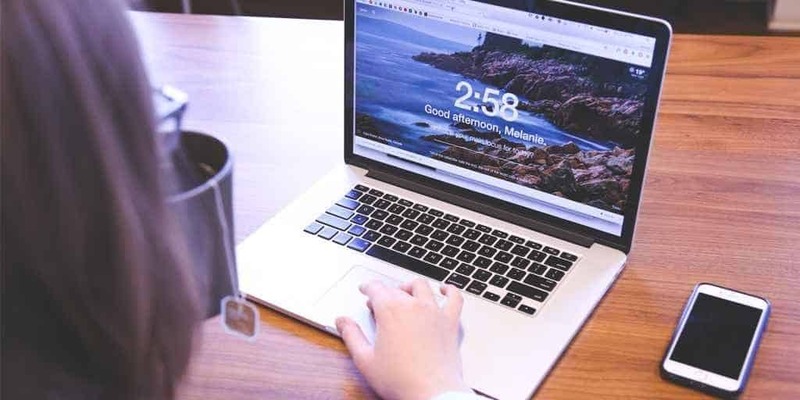 Although these are the best tips I’ve found over the years to consistently write blog posts in a couple of hours, I’ve got to stress again that everyone is different, and that these aren’t a set of rules to follow 24/7. Whether you’re struggling to separate your writing from your editing, or your head gets scrambled by working on more than one post a day, use these tips as an alternate way to try out and see what happens. 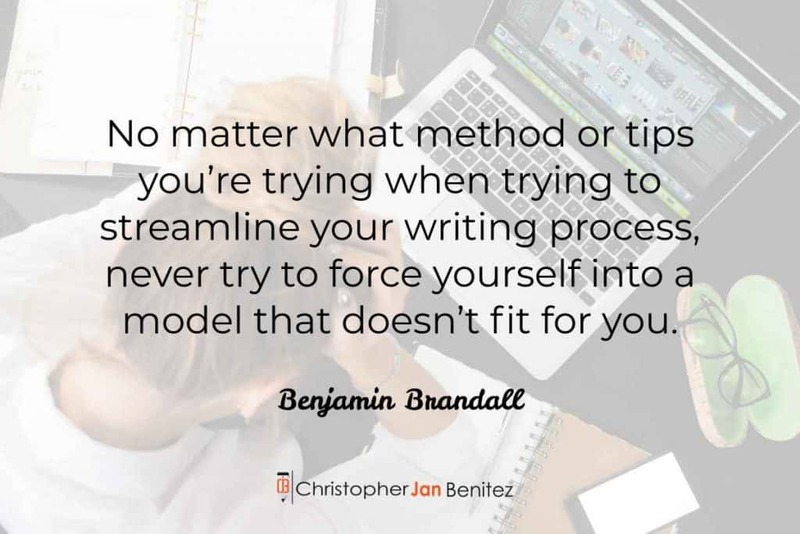 No matter what method or tips you’re trying when trying to streamline your writing process, never try to force yourself into a model that doesn’t fit for you. Give everything a try to see what works and what doesn’t, but take into account aspects like your motivation and enjoyment during the process to make sure that you don’t burn yourself out in the pursuit of efficiency. Either way, try out what I’ve highlighted, customize it a little to see if any variations fit your work style better, and then let me know in the comments. I’d love to hear what helps you stay motivated and consistently bring your A-game to work. Follow Benjamin Brandall on Twitter by clicking here!